Indeed, that first bloodshed in the American War for Independence was an extremely important event. Due to the modern day revisionist history tactics of education textbooks in America, we are rarely told that this day was really about gun confiscation. You see, King George III was all about gun control for the colonists. He had instructed his generals to begin rounding up the guns of the colonists in our land for one reason - so he might oppress them with the measures of a tyrant. The fact is the Red Coats went to Lexington and Concord that day to confiscate the guns, ammunition, and gunpowder of the American colonists. Shocking to many modern-day pastors, ministers, and Christians alike is the location of the guns and munitions of the Colonists. The arsenal of this freedom-loving militia was in the Church Meeting House on Lexington Green. In fact, a militiaman testified that Captain Parker said to his men, “Every man of you, who is equipped, follow me; and those of you who are not equipped, go into the meeting-house and furnish yourselves from the magazine, and immediately join the company.” And the Pastor of that church, Jonas Clarke, was a significant voice calling on his people to resist the British. The members of the militia on that Green that April day in 1775, were members of the Congregation, which met at that Meeting House. You might say that this church launched the War for Independence. 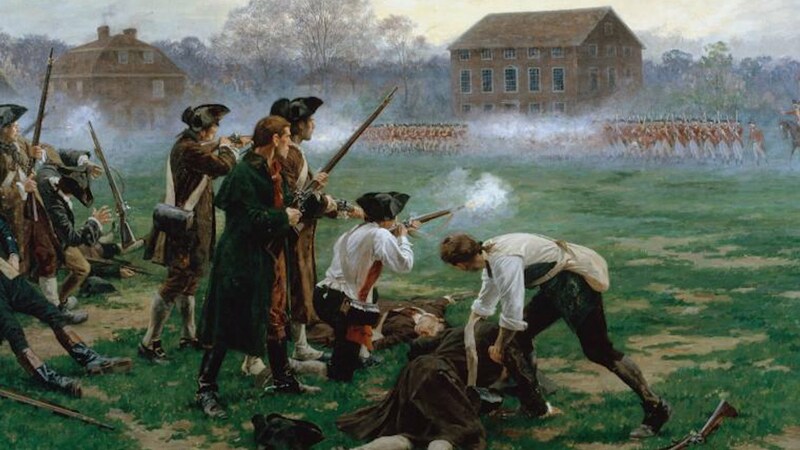 Americans need to remember this history, especially today when a new style of Red Coats disguised as educators, politicians, and now many high school students (being manipulated by delusional thinking) are all rallying for federal government gun control. These groups descend upon our nation’s capital or on our own village greens. The agenda is the same, though the style of clothing has changed. Tragically, these factions in modern American society lack much true constitutional understanding. These contingents are walking in a limited tunnel of vision - some on purpose, but most of them unknowingly; yet, both parties remain neglectful. While they practice the right to free speech, peaceful assembly, and petition found in the First Amendment, they seek to do away with the Second Amendment; the very instrument that prevents the annihilation of the First Amendment by a tyrannical power that loathes being reminded of individual God-given rights. If you desire to live in a free Constitutional Republic, please pray with me for the state of affairs in America, and work with me to restore sound Biblical, Constitutional thinking in America.